We can produce presentation folders in any colour or size. These presentation folders can be printed in full colour, special mixed colours, professionally embossed and foil stamped to create a variety of lasting impressions. Additional options include presentation folders with business card slits and printed pockets. 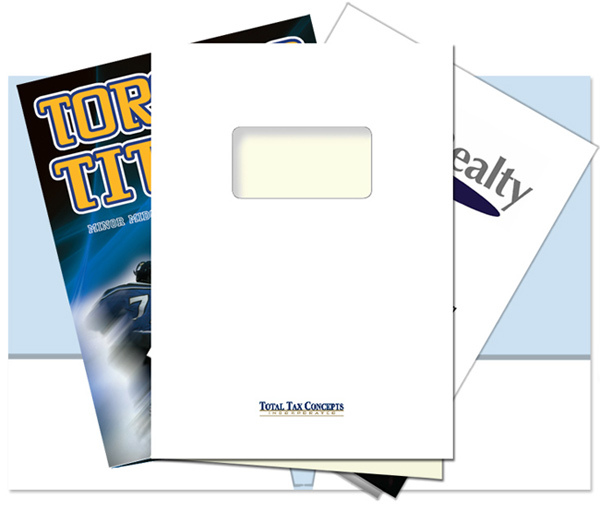 There is a wide selection of card stock and different coatings for the presentation folders. Presentation Folders are priced based on customer required specs. therefore must be quoted based on a project by project basis.